Across America, we know the months from October to March as “cold and flu season.” Peak times vary from year to year, but most commonly February is recorded to be the month with the most cases of the flu. Over the last 35 years, February topped the charts fifteen times (yikes!). In addition to the flu, other respiratory viruses are also more prevalent during this time, particularly rhinovirus and the all-to-well-known, respiratory simplex virus (RSV). Making matters worse, cold and flu season also lands right during the holiday season when traveling is at its highest. This only increases the chances for spreading these many bugs and diseases. So, what is one to do? Cold and flu season is inevitable, and going outside almost always is too, but that does not mean we have to be doomed to the fateful reality of this sickie time. Prevention is key, and there are many steps we can take to support our health and immune system, especially during these frigid months. Sleep Even more important than supplementing, is getting enough sleep each night. With long work hours, demanding jobs, stress, kids, and more, sleep hours never seem to be as many as they should be. I have written before on the necessity of a full night’s rest. According to the National Sleep Foundation (5), adults need a solid 7-9 hours of uninterrupted sleep. While we sleep, our bodies produce cytokines which help fight off inflection and inflammation, as well as the effects of stress. When we do not get enough sleep, our bodies do not get a chance to recharge, hormones do not fully reset, and consequently, our immune system is compromised. (6) Consider adding things like magnesium soaks, an air purifier, and melatonin to your evening routine to enhance sleep quality. 3. Are you drinking enough water? Hydration is SO important. I know for me it is always hard to remember to get enough water to drink. The 8X8 rule says adults should be drinking eight 8oz. glasses of water daily. (7) That is a lot! Yet even if you are getting an adequate amount to drink, have you considered the quality of your water? Pharmaceutical residues, heavy metals, fluoride, and other contaminants are swimming in our water supplies. All these have ill effects on the immune system. Consider purchasing a water purifier to improve your water quality. Here at Radiant Life, we pride ourselves in researching the best quality water purification systems for your home. This 14-stage filtration system clears everything from fluoride, lead, chlorine, MTBE, chromium-6, nitrates, pesticides, pharmaceutical residues, and water-borne illness completely out of the water, making it one of the top purification systems on the market today. 4. 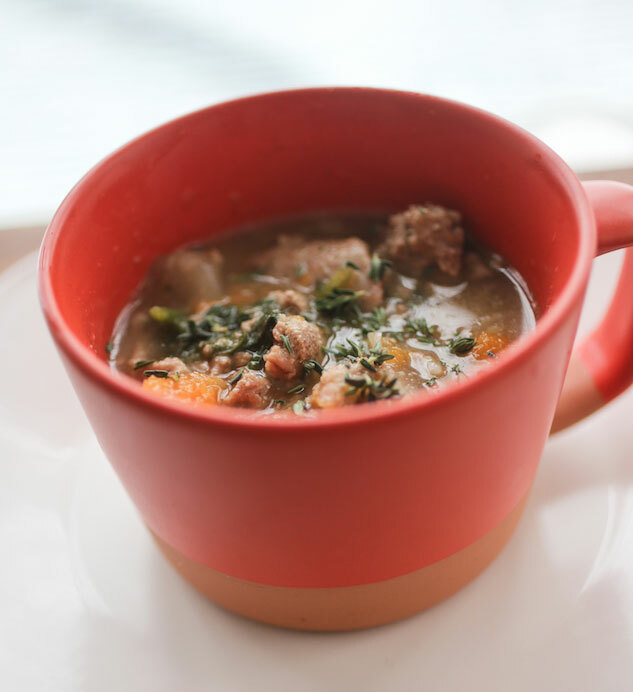 Lastly, homemade, real, slow-cooked bone broth is another way to not just keep the immune system strong, but to also help heal the body when it does fall sick. Loaded with minerals, vitamins, and nutrient dense gelatin, bone broth is simply the best. In the past when I have gotten sick, I put myself on a strict broth only diet for a couple days, and it works like magic. Check out Nourishing Traditions cookbook by Sally Fallon, as well as Nourishing Broth, for recipes, tips, and ideas on how to make your own broth from home. You’ll also discover some amazing ways to use broth for making delicious nutrient dense soups and stews to keep you fueled this winter!